In my earlier post Why Support the Arts? I noted six points summarized from an article “Willingham: Six Practical Reasons Why Arts Education is Not a Mere Luxury” (Washington Post, November 23, 2009) by cognitive scientist Dan Willingham. Development psychologist Jerry Kagan presented these points during a 2009 conference called “Neuroeducation: Learning, Arts and the Brain.” This post is in regards to the third point: The arts offer a unique means of communication. Much has been written about how the arts make use of unique symbol systems to communicate meaning. Each art form has a set of valid and powerful forms of communication not possible though written or spoken symbolism. 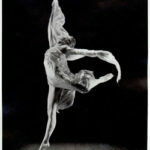 This idea is typified by interpretive dancer Isadora Duncan’s famous quote noted above. Kagan argues that the arts “offer a unique means of communication, using representations in the mind other than words, which are at the core of most school subjects.” And he offers the following interesting personal example. He noted that in the Japanese culture, there’s a distinction between two kinds of social interaction. Politeness is emphasized in the first form, where one cannot always express all that one is thinking. In the other, which is more appropriate for intimate interactions, one may speak freely. Kagan said that his understanding of the two forms became much richer after viewing paintings that addressed the theme of social interaction: one of two gulls flying, one with its feet visible, the other with its feet tucked out of sight. The arts communicate in ways that words cannot. The arts can and do reach kids in different ways, and as I have already explored, are absolutely essential in teaching to the whole child (see my earlier post The Arts Are Good For…). But, how do we get this message across in educational settings so dependent on the written and spoken word as the primary symbol system used to communicate? This entry was posted in Blog and tagged arts, arts education, communication, creativity, human development, symbol systems. Bookmark the permalink.